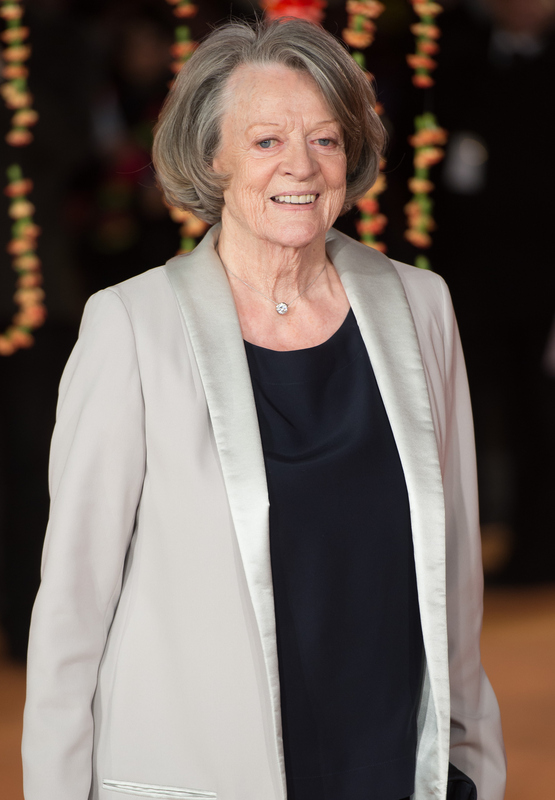 In a wonderful twist of fate, Maggie Smith isn't leaving Downton Abbey after all. According to her publicist, Smith plans to stay on until the Grantham home crumbles to the ground — a.k.a. when the show comes to an end. "[Smith] has always been on the record as saying she’ll be with the show for as long as the show runs," her rep said, claiming that Smith was just speaking "lightheartedly" when she said that her character, the Dowager Countess of Grantham, would have to die soon. "They say this is the last one [season], and I can’t see how it could go on," Smith told the Times of London, which is what started the rumor in the first place. "I mean, [my character] certainly can’t keep going. To my knowledge, I must be 110 by now. We’re in to the late 1920s." If the show ends after Season 6 — which hasn't begun filming yet — then her comments would make sense. She did say, after all, that she'd go down with this ship. A premiere date has not been announced, but the show just ended airing Season 5 in the U.S. with a lovely finale. Here's to hoping that the Dowager Countess will deliver plenty of zingers this season and that the show won't end after this year. Don't the Granthams deserve at least a decade on air? I think so. But if not, seven is a lucky number to end on, too.